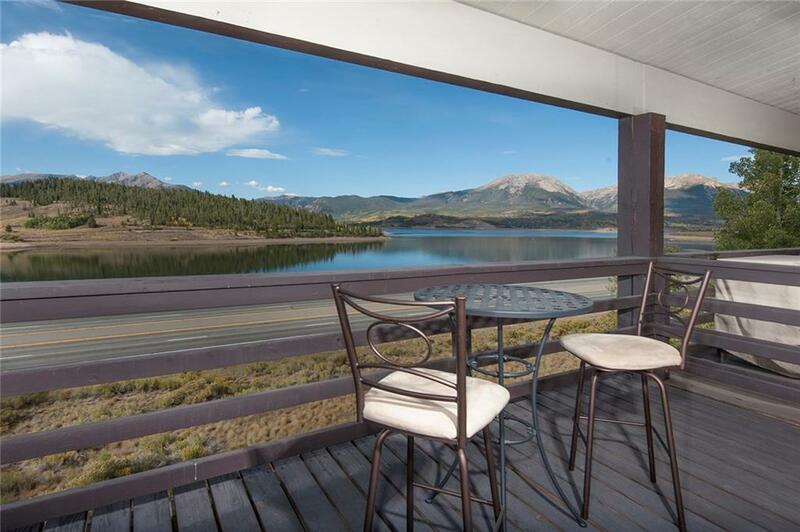 Look out over the Lake Dillon and take in Summit County's most iconic view of the Gore and Tenmile Mountain Ranges. This pristine, top floor unit offers a huge deck and a spacious floorplan with vaulted ceilings. Remodeled with numerous upgrades, fixtures and features, this inviting residence is ready to enjoy. The 1-car garage is wonderful convenience and offers a large storage closet. Enjoy access to the private neighborhood clubhouse and pool. Rare opportunity to acquire a special property.